AutoImports of Denver has been family-owned and operated since 1984. We aim to serve our customers with expertise, great prices, and 100% satisfaction. 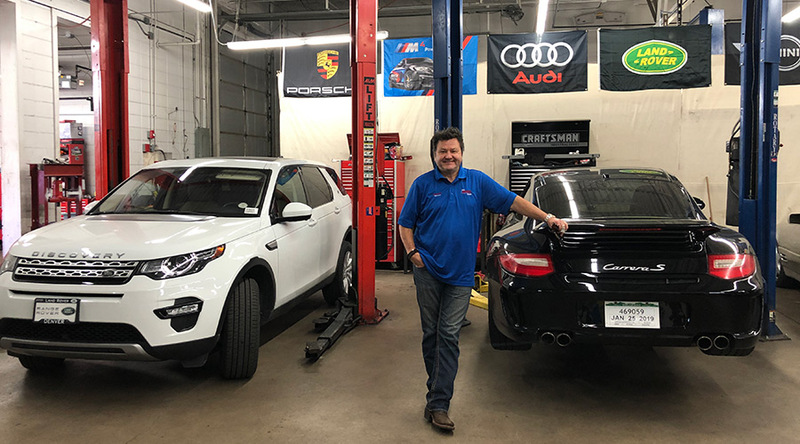 AutoImports of Denver repair, service, and maintenance shop is equipped with state-of-the art technology, ensuring top quality auto repair that quickly gets your car back on the road. Our professional technicians will leave you feeling confident that all your automotive needs are being met. Honesty, integrity, and customer satisfaction are the most important elements of our business. We realize that our future success is determined by how well we exceed your expectations today! We provide our customers with high quality repairs combined with personal service and value that is equal to, or exceeds, the best you can receive anywhere in the automotive industry. Every vehicle is evaluated each time it is in the shop for repair, service, or maintenance. If we see mechanical wear or if there is a maintenance service due, we will let you know. Additionally, we will give you recommendations to assist you in deciding when to schedule these repairs to maintain the reliability and safety of your vehicle. Our customers have such confidence in the services they receive here, they regularly recommend us to their friends and families. Our Denver shop is clean, comfortable and attractive to our customers and employees. Kris Lesinski’s (owner of AutoImports of Denver) passion for cars led him to become a mechanic at an early age. In March 1984, after working in various repair shops, Kris decided to purchase his own business. Knowing that he had little knowledge about how to run a shop, but being passionate about the quality of service each customer would receive, Kris proceeded to seek out training for himself, and each of his crew members as the shop grew. The shop has continued to grow and in the last 34 years, it has gone from a one man operation to a staff of six; constantly growing due to the increasing demand for our automotive services. After all these years in business, Kris still constantly works on improving the services his shop gives you, our customer. Come visit us and find out why we have such loyal customers and what keeps them coming back to AutoImports of Denver.